These three pioneering women were instrumental in the successful creation of Queen Margaret's College, the only women's college of higher education in Scotland. They enabled women to obtain a University education and graduate from Scottish Universities. It is often said that if women wish to have Higher Education, they, or their parents, ought to pay all the expense of getting it... such payments have never been expected of men. Large sums of money have been given by Government and by private benefactors in order to provide for young men the educational advantages...The Association only makes the same appeal on a very much smaller scale, and trusts that it also will not make it in vain. 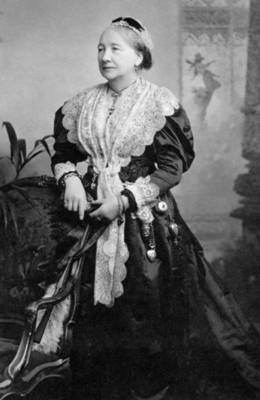 In 1868, Jessie Campbell, the wife of the owner of a prosperous department store in Glasgow, instigated a scheme to provide academic tuition for women, taught by University of Glasgow professors. When, as a result of this initiative, the Glasgow Association for the Higher Education of Women was founded in 1877, she became its Vice-President and chair of its executive committee, continuing to be a prolific fund-raiser for the cause of women's education. 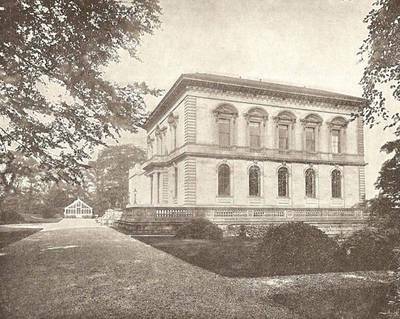 When Queen Margaret College was founded in 1883, Jessie Campbell encouraged Isabella Elder the renowned philanthropist, to purchase premises for the new College and then raised �£20,000 from merchants and industrialists in Glasgow to match the endowment. Mrs Elder was always anxious to ensure that the women’s education, although separately conducted, was not in any way inferior to that of the male students, always stressing the need for equal opportunities. 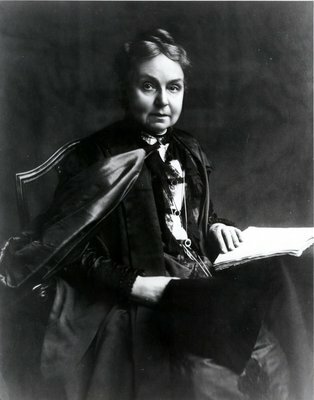 Janet Galloway was the first secretary to the Association for the Higher Education of Women, and in 1883 became Honorary Secretary to the newly founded Queen Margaret College, where she was involved in all aspects of its administration, including liaison with the University staff in the preparation and delivery of teaching and the pastoral care of students. A former grateful student commented that she was "never too busy to see a student, advised as to courses and future careers, encouraged the ambitious, scolded the frivolous, found friends for the solitary, secured posts for those who were ready for them, and smoothed untrodden paths for many a diffident beginner". The movement for women's equal rights to university education was finally successful in 1892 when the Scottish Universities Commissioners issued an ordinance empowering Scottish Universities to make provision for the instruction and graduation of women. Queen Margaret College amalgamated with the University of Glasgow and Jessie Campbell, at the age of 66, withdrew from higher education, her mission accomplished. All three women were awarded Honorary LLDs by the University. 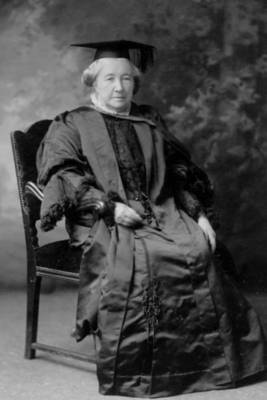 In Jessie Campbell's 1901 oration, it was stated that she was "a lady whom the University delighted to honour - the originator of the movement for the higher educator of women in Glasgow - by whose long and unselfish efforts Queen Margaret College had become the women's department of the University of Glasgow". All three women are also depicted in a memorial window in the Bute Hall. Born 26 March 1827, Cross-Arthurlie, Scotland. 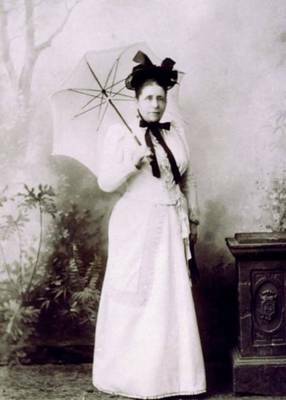 Janet (known as Jessie) Campbell, née Black (1827-1907) was born in Cross-Arthurlie, Renfrewshire, the daughter of the owner of a bleaching business. In 1846 she married James Campbell (1823-1902) of Tulliechewan, a principal of the Glasgow wholesale drapery firm J & W Campbell. They had five children, three daughters and two sons. Jessie Campbell and her husband involved themselves in various social and intellectual movements. However, her main interest was the promotion of higher education for women. In 1868 she proposed that lectures for women be given by professors of the University. The first to respond were John Young, Professor of Natural History, Edward Caird (Moral Philosophy), John Nichol (English Literature), and Robert Grant (Astronomy). These lectures, given in the University and the Corporation galleries were very successful and continued until 1877, when the Glasgow Association for the Higher Education of Women was formed to offer women opportunities to study at university level. Jessie Campbell became Vice-President of the new Association and Janet Galloway its Honorary Secretary. In 1883 the Association was incorporated as Queen Margaret College and Jessie Campbell became its Vice-President and chaired its executive committee. She persuaded her friend Isabella Elder to purchase North Park House for the College and was the main fund-raiser of a £20,000 college endowment fund. Queen Margaret College, which was the only college for the higher education of women in Scotland, achieved its aim of amalgamation with the University in 1892. Jessie Campbell retired from active involvement in the higher education of women in 1893. She contributed an article, "The rise of the higher education of women movement in Glasgow", to The Book of the Jubilee: in Commemoration of the Ninth Jubilee of the University of Glasgow, 1451-1901 (1901). The University awarded her an LLD in 1901 in recognition of her pioneering work. The Campbell of Tullichewan Memorial can be found in the Vale of Leven cemetery. More information is available here. 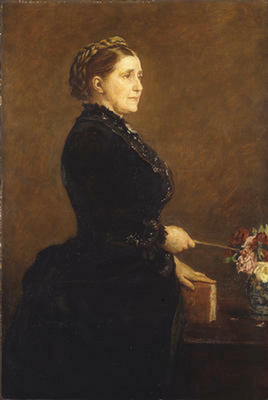 Isabella Elder, née Ure (1828-1905) was a benefactor of the University who took a particular interest in promoting opportunities for women in higher education. In 1857 Isabella, the daughter of a Glasgow lawyer, married John Elder (1824-69), a partner in Randolph, Elder & Co, marine engineers in the city. Under John Elder's direction the business thrived, and acquired a shipbuilding yard at Govan in 1860. By 1868, when the firm became John Elder & Co and moved to the Fairfield Shipyard in Govan, it was recognised as one of the world's leading shipbuilders and marine engineers. John Elder died in 1869. Isabella became sole owner of his business for 9 months, until it was transferred to a partnership led by her brother John Ure. Subsequently, she devoted her life to philanthropic projects in Govan and Glasgow. In 1883 Elder purchased 37 acres of ground near the Fairfield Shipyard, and had it laid out as a public park named the Elder Park in memory of her husband and her father-in-law David. The park opened to a great local fanfare in 1885, and for many years she paid for an annual fireworks display there. Also in 1885, she set up a School of Domestic Economy in Govan to teach young women how to prepare nutritious meals, darn, mend, starch, and perform other chores required in managing a household on a limited budget. Elder also took a keen interest in higher education, and particularly in the University. In recognition of her late husband's enthusiasm for promoting the application of scientific principles in industry, she gave a supplementary endowment of £5,000 to support the chair of Engineering (in 1873) and £12,500 to endow the Elder Chair of Naval Architecture (in 1883) at the University. She also contributed to the building fund, and to provide lectures in Astronomy, at the Glasgow and West of Scotland Technical College, the forerunner of the University of Strathclyde. 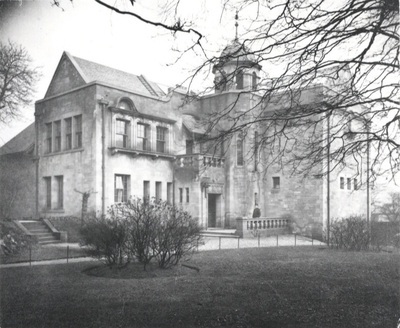 In 1883, Elder bought North Park House in the city's West End and donated it to the Queen Margaret College, the first college in Scotland to provide higher education for women. In 1890 she agreed to finance the first courses of study at the QMC's new School of Medicine. The QMC subsequently merged with the University, and in 1894 its medical school produced Scotland's first women graduates in Medicine. She was described in The Bailie, a Glasgow periodical, as being "a true woman, a wise benefactress of the public and of learning". She was awarded the honorary degree of LLD in 1901, and her generosity is commemorated both in a memorial window in the Bute Hall together with Jessie Campbell and Janet Galloway and on the Memorial Quincentennial Gates on University Avenue. In 2015, Estates & Buildings was renamed the Isabella Elder Building in her honour. Richmond, Lesley. 2004. Campbell , Janet [Jessie] (1827–1907). Oxford Dictionary of National Biography..
Campbell, J. 1901. The rise of the higher education of women movement in Glasgow In The Book of the Jubilee. In Commemoration of the Ninth Jubilee of the University of Glasgow, 1451-1901 . Glasgow: James Maclehose and Sons. A series of 'Lectures for ladies' is organised by Jessie Campbell. The Association for the Higher Education of Women is formed by Jessie Campbell. World Changing Project, "Pioneering the University education of women in Scotland," in University of Glasgow World Changing (University of Glasgow, 2010); http://www.worldchanging.glasgow.ac.uk/article/?id=27 (accessed April 24, 2019). World Changing Project. "Pioneering the University education of women in Scotland." In University of Glasgow World Changing. University of Glasgow, 2010. http://www.worldchanging.glasgow.ac.uk/article/?id=27 (accessed April 24, 2019). World Changing Project. "Pioneering the University education of women in Scotland." University of Glasgow World Changing. University of Glasgow, 2010. 24 April 2019 <http://www.worldchanging.glasgow.ac.uk/article/?id=27>.